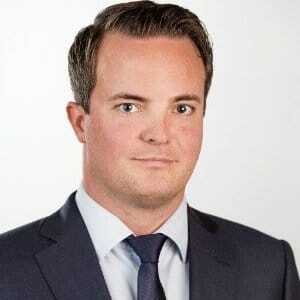 Mr. Pietilä first landed at Nordea Markets in May 2010 when he was originally appointed as Sales Manager. Nordea Markets, a subsidiary of Nordea Bank AB, a Swedish financial services group operating in Northern Europe, has promoted Petteri Pietilä to take on the role of its Chief Sales Manager. Based out from Helsinki, he will be focused on FX and FX options sales with an emphasis on EM currencies. Petteri, who has more than nine years of sales and product management experience, was a mainstay at Nordea Markets for more than seven years. His career encompasses other roles within the company, most recently as Senior Sales Manager where he was focused on the same segments as well as large cap corporations and financial institutions coverage. Mr. Pietilä first landed at Nordea Markets in May 2010 when he was originally appointed as Sales Manager tasked with forex and money market product sales. Earlier in his career, he served as Investment Advisor for nearly two years at United Bankers Asset Management Ltd.
Nordea Markets is the international markets business of Nordea. The company handles a broad range of investment banking products and services including fixed income, currencies, commodities and equities. It also supplies advisory services and international economic research and analysis.